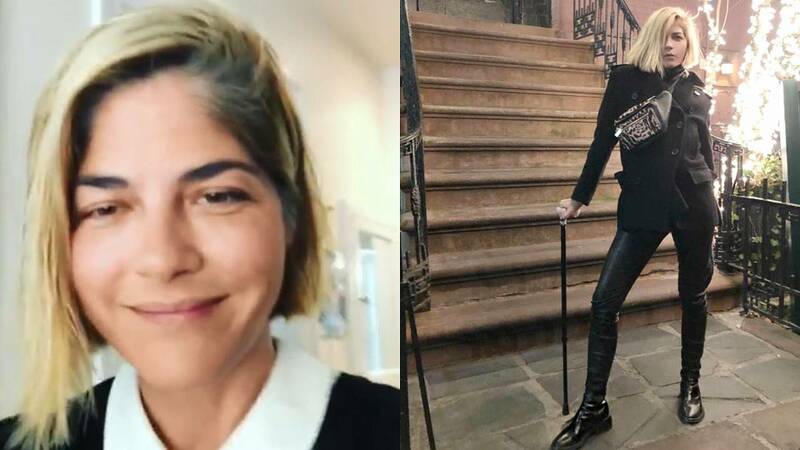 Selma Blair gave fans a peek into what her makeup routine is like these days as she lives with multiple sclerosis, a disease that affects the central nervous system. The actress, 46, posted a light-hearted and inspiring tutorial on Instagram, demonstrating her "solution to applying makeup with a lack of fine motor skills." "So MS, people: brush big, bronzer," she said with a laugh as she swept her huge makeup brush over her face. "There! Done. Stop. Bye." "Okay, so my fine-motor skills aren't, like, fine at this moment, so I just want to say, I'm going to probably give a makeup tutorial … never," the actress said. "But if I do, you know I'm really just trying to have fun." "OMG you are so funny!" Debra Messing commented on her video. "I love you so much Selma." Kris Jenner, who Blair portrayed in "The People v. O. J. Simpson: American Crime Story," also sent a sweet note of support. "What a ROCKSTAR you are … I adore you … sending you tons of love today my girl," Jenner wrote. ("Better send some bronzer," Blair replied with a string of laughing emojis). Freddie Prinze Jr. called her video "pro," and Brooke Shields also posted a touching note in the comments. "You are so beautiful you don't need makeup but I agree with a big brush always," she wrote. "Love you. B." "You are so real and that's what I love about you," one fan commented. "I've always loved to dress, make up, hair, etc … Now with a muscle disease it's challenging. You truly inspire me and I thank you for that and for being you!!!" "I am a forthcoming person and I want my life to be full somehow," she wrote on Instagram in October. "I want to play with my son again. I want to walk down the street and ride my horse. I have MS and I am ok. But if you see me dropping crap all over the street, feel free to help me pick it up. It takes a whole day for me alone. Thank you and may we all know good days amongst the challenges."